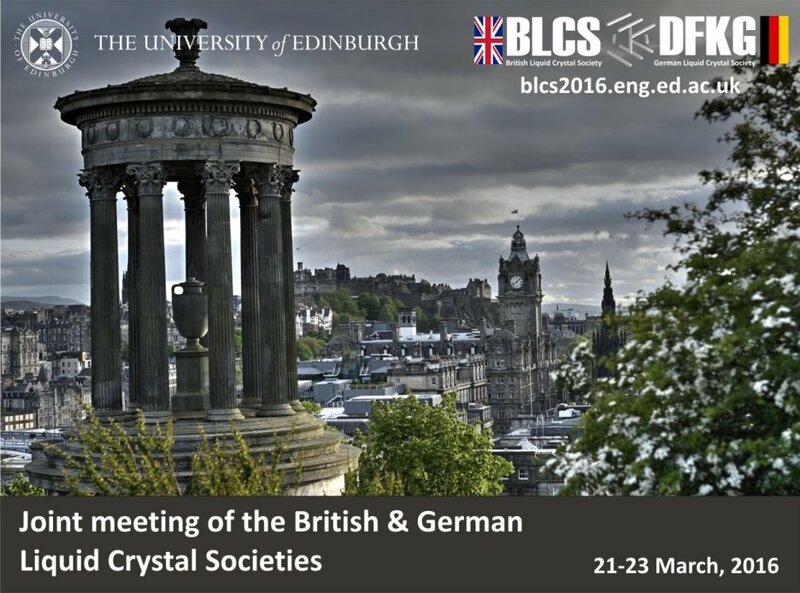 The BLCS Annual Meeting 2016, will take place 21st -23rd March at The University of Edinburgh. 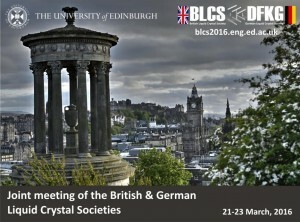 This year the British and German Liquid Crystal Societies have joined forces to bring together an exciting joint meeting. The conference will cover cutting edge research across all elements of liquid crystal science, including chemistry, physics, mathematics, engineering, materials science and bio-science. Deadline for abstract submission: Friday 29th February.